42 Gallon Square Receptacle with Dome Top Ash-tray Lid, Portable 25 Lbs. 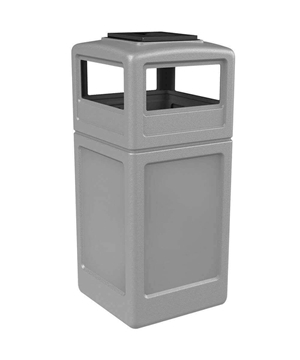 9 Gallon Concrete Trash Receptacle with Ash Top, 205 Lbs. Steel Trash Can with Ashtray, 25 Gallons, Portable 60 lbs. 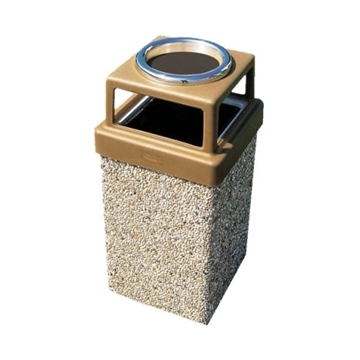 Ash and Trash Receptacle Square 42 Gallon Plastic with Stone Panel and Dome Top, Portable 66 Lbs. 20 Gallon Stainless Steel Trash Can with Cigarette Receptacle, Portable 45 lbs. 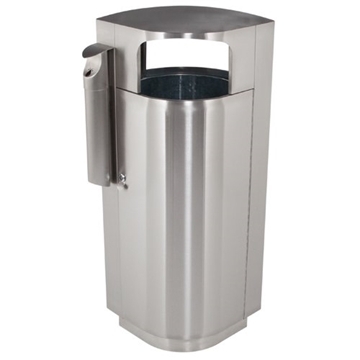 40 Gallon Stainless Steel Trash Can with Cigarette Receptacle, Portable 65 lbs. 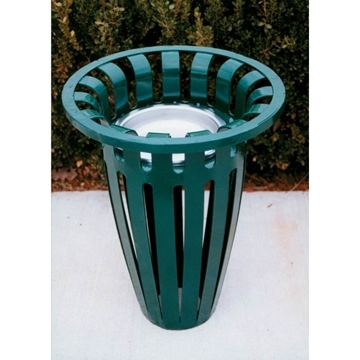 32 Gallon Powder-Coated Strap Steel Trash Can with Snuffer Top, 340 Lbs. Picnic Furniture offers commercial grade "ash and trash" receptacles designed to keep the outdoors clean by providing the public with a way to properly dispose of cigarette waste. We carry trash and cigarette containers crafted from long-lasting materials such as concrete, thermoplastic, and stainless steel. Featuring different style tops including traditional ash, dome, or flat as well as an array of unique colors from burgundy to mystic blue. We carry thousands of models from industry leading manufacturers such as Commercial Zone Products, Witt , Wausau Tile and Webcoat. Call or chat with our staff today for a quote request. 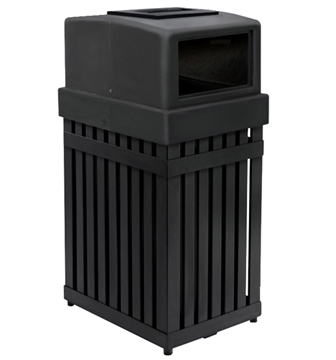 Picnic Furniture's commercial grade trash and cigarette receptacles supply the best combo deal you can find for keeping a park or campus clean. Give us a call for a quote on furnishing your entire park, community center, or public rest area! Our purchasing volume guarantees you the best prices on the most popular styles with quick shipping.